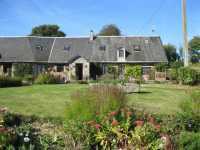 This is a wonderful opportunity to buy a house and a separate cottage with breathtaking views of the Normandy countryside, 15 minutes from the departmental capital St.Lo. The house and the separate cottage have been renovated to a very high standard and are ready to move in. Ground floor - Entrance hall leading to a fitted kitchen and a separate dining room. There is a separate WC and a large living room with an efficient fireplace leading to a desk that can be used as an extra bedroom if needed. First Floor - There are three large bedrooms, one with en-suite bathroom and a family bathroom. Ground Floor - There is a large open space including a living room, a dining room and an equipped kitchen. There is also a separate toilet. First Floor - There are two large bedrooms and a family bathroom. The property is on a lane that is dead end so is extremely quiet. There is a large garden divided into several lawns and a vegetable garden. There are two outbuildings incorporated in the main house that could easily be developed to increase the living space. There is also an independent dependence and a greenhouse on the ground. There are vast views of the elevated position of the property and you can really see for miles and miles. 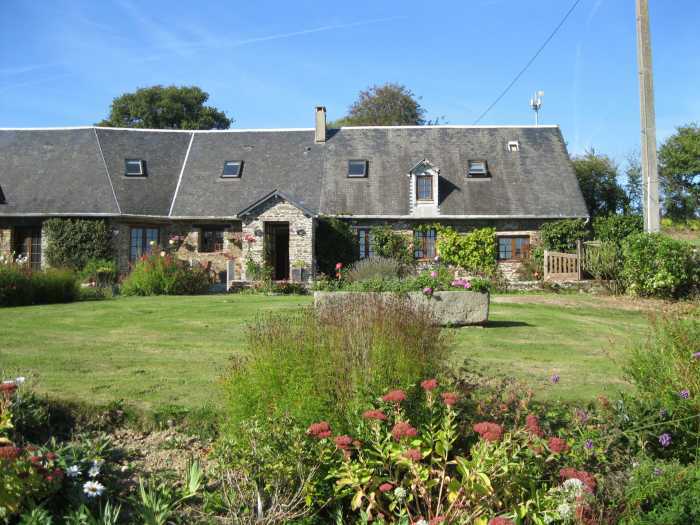 The house is ideally located for all major tourist attractions of Normandy - Bayeux with its famous tapestry, Le Mont Saint-Michel, the landing beaches, etc. Double glazing, Fireplace, Internet, Barbecue, Outdoor lighting, Well.